19" Long. 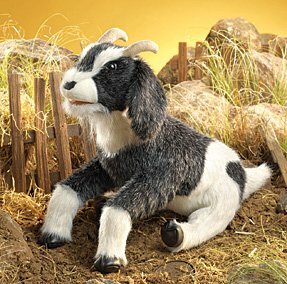 This adorable goat won't eat your flower garden. Moveable mouth.